Seaford Christmas Magic Lantern Parade! The Seaford Christmas Magic committee is delighted to be working with local artist Kristina Veasey to bring you the Seaford Christmas Magic Lantern Parade 2016. Take part in or watch as participant’s parade with their paper and withy lanterns through Seaford Town Centre on Saturday 3rd December 2016. The event will conclude in Broad Street with Seaford Silver Band and the Christmas Light Switch on! Those wishing to see the parade should head to Seaford Town Centre at 4.30pm for the parade to commence from 5pm. 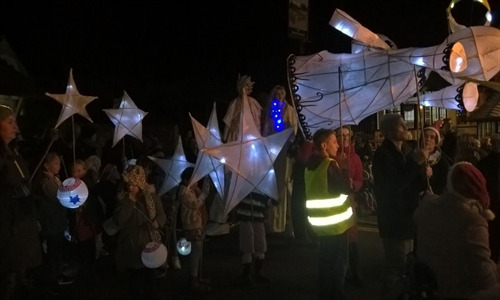 Make sure to attend one of the lantern making workshops, kindly hosted at the Mercread Youth Centre on Sunday 27th November from 1-5pm – help to create large withy and paper lanterns for the Xmas Magic Parade, no experience necessary. Ages 7 years upwards – Adults as well! Make sure to pop along to St Leonards Church Hall on Saturday the 3rd of December 2016 to make your free lantern. This is a drop in decorating workshop for all ages. Decorate your own lantern to carry in the parade. The lanterns are lit by LED lights and are a safe and fun decoration for all the festive period. Make sure to collect your lantern from the hall at 4.30pm, to gather and take part in the parade in Church Street, The parade proceeds along South Street, Saxon Lane, and Broad Street in Seaford Town centre. 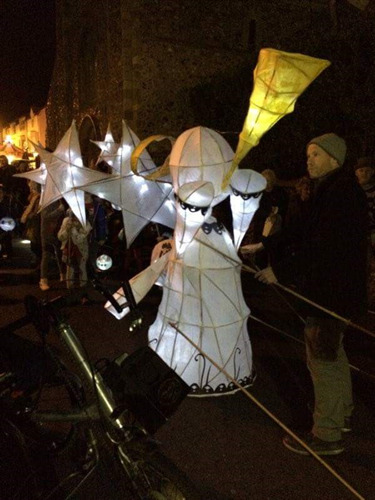 The lantern parade has been made possible this year by Phil Boorman House Clearance, Sparkle Glass Window Cleaning Services and Sussex Eyecare, and is being marshalled on the day by Seaford Rotary Club.